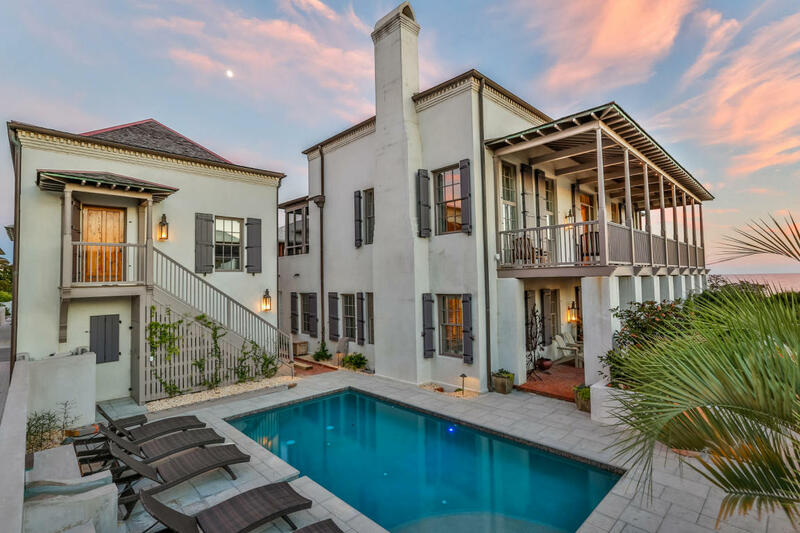 Located in Rosemary Beach, this bad boy is listed for a cool $11,750,000 for all you ballers! It’s always fun to look at homes you can’t afford . And it just so happens that this Rosemary Beach residence is just slightly out of my price range . I was curious to see what the most expensive home for sale along the Emerald Coast looked like, and what the price tag was. This home was built in 2001 as a collaboration between Interior Designer Phillip Sides and Architect Lew Oliver, and sits on 85 feet of elevated beach front. The home has a five bedroom main house, one bedroom carriage house over a two car garage, as well as a stone paved courtyard with full size pool, fountain, and lush landscaping. This is what almost $12 mil will get you along the Emerald Coast. So what do you think? Could you see yourself living at 78 S Green Turtle Lane in Rosemary Beach, FL?